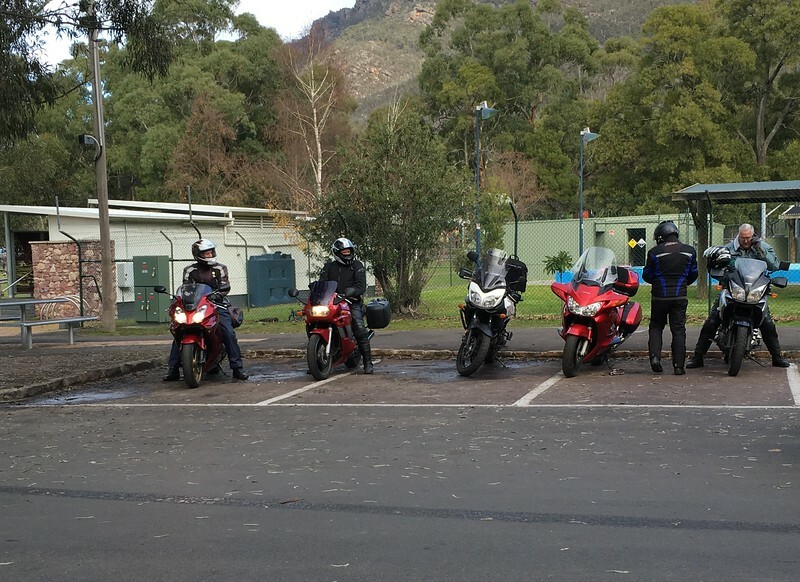 Halls Gap was the destination for Sunday’s long ride. A couple of days prior the weather forecast looked pretty bad with showers and cold winds forecast. However, after showers on Saturday it appeared that it wouldn’t rain again until Sunday night, although it would be quite a cold day. 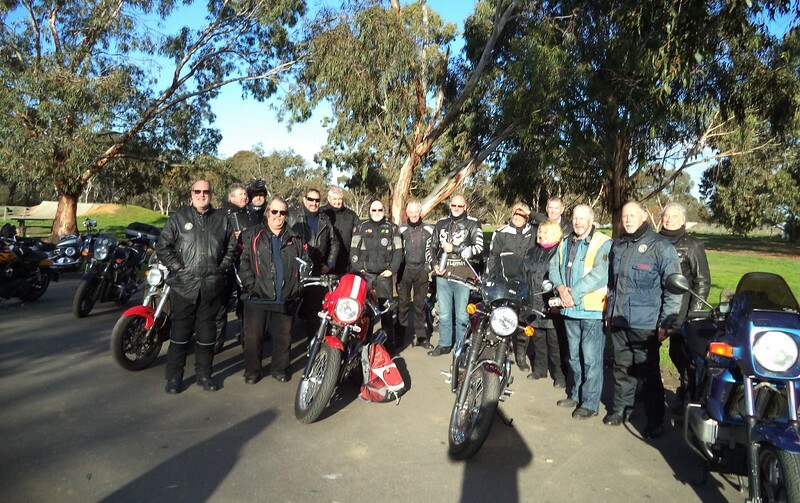 Eight of us gathered at Waurn Ponds Maccas for the ride led by Rob V and we then met up with another three at Bannockburn. The temp was hovering around 7-8C, until we hit some fog which made things difficult for quite a few kilometres, and the temp halved to around 4C in the fog. 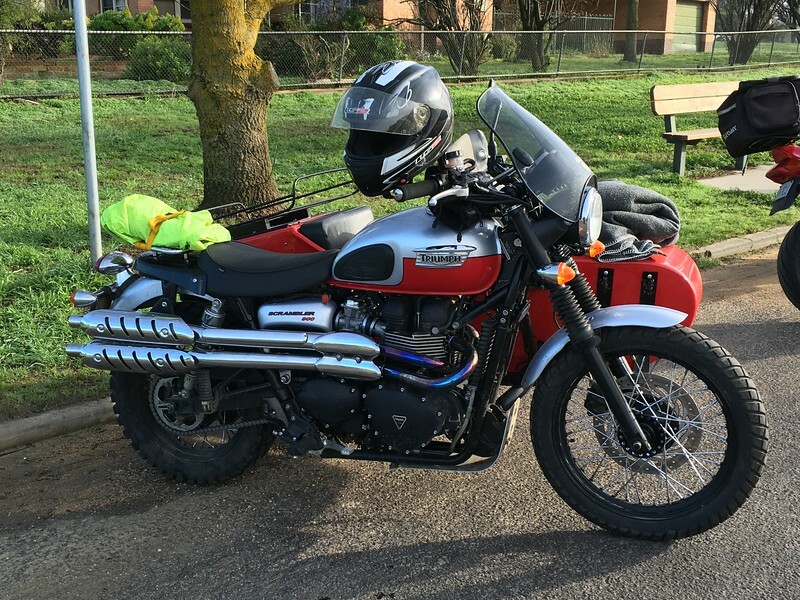 I cranked up my heated grips to keep my hands nice and toasty. 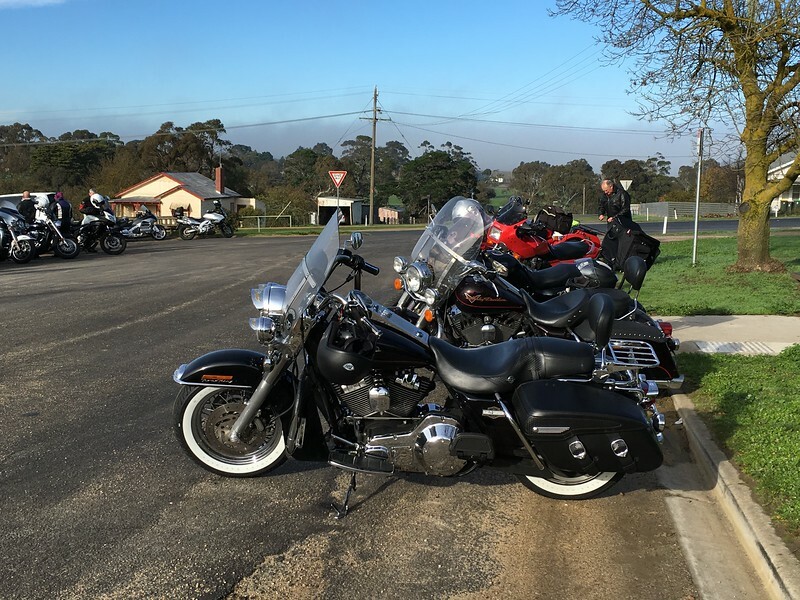 The plan was for morning tea at Skipton, where we would be joined by the Ballarat Branch and the Grampians Branch – having ridden down (from Stawell) to meet us. 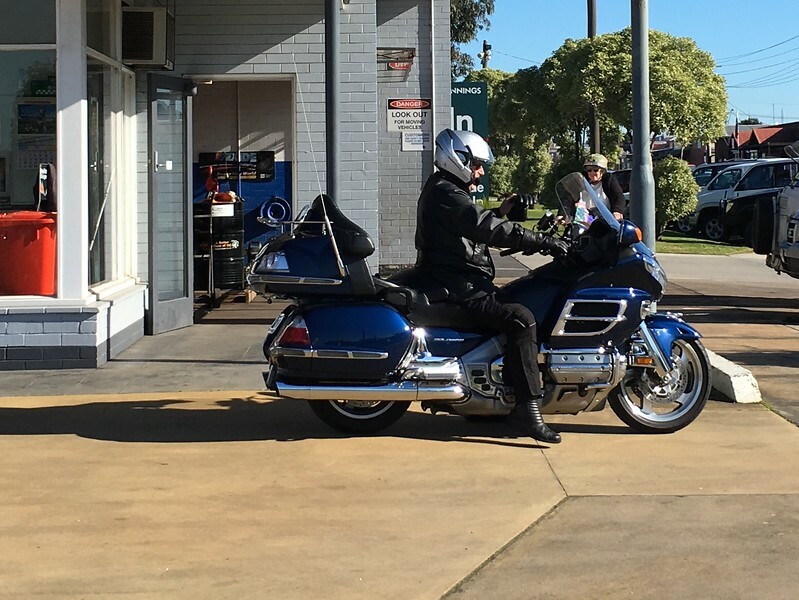 Phil and Tanya met us at Skipton, boosting the Geelong Branch representation to 13, pretty good for a long ride (500kms) just a few days before the winter solstice. 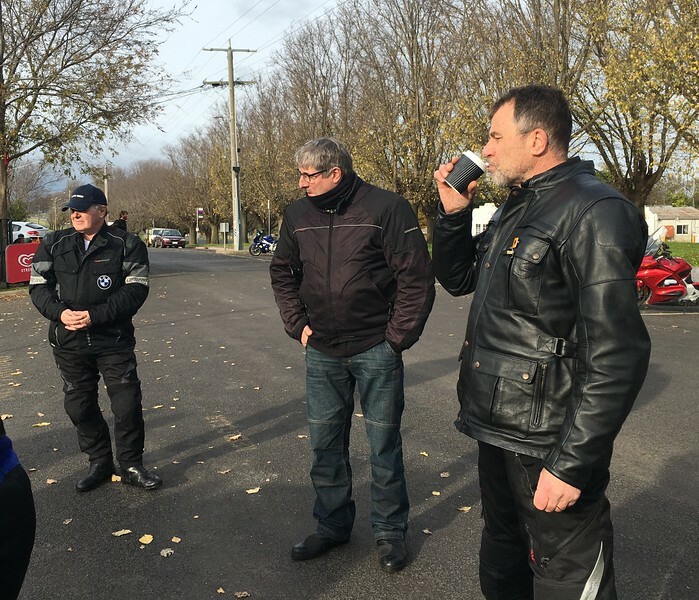 Rob did a great job of leading the combined large group to Halls Gap via numerous back roads – I had no idea where we were most of the time! Thanks also to Phil R as Tail-End-Charlie. It was a lovely sunny day in Halls Gap. Riding into town I realised that I had forgotten just how pretty this place is. We all headed off to various eating spots, although the bakery proved to be the firm favourite – so good were the pasties that some went back for seconds! 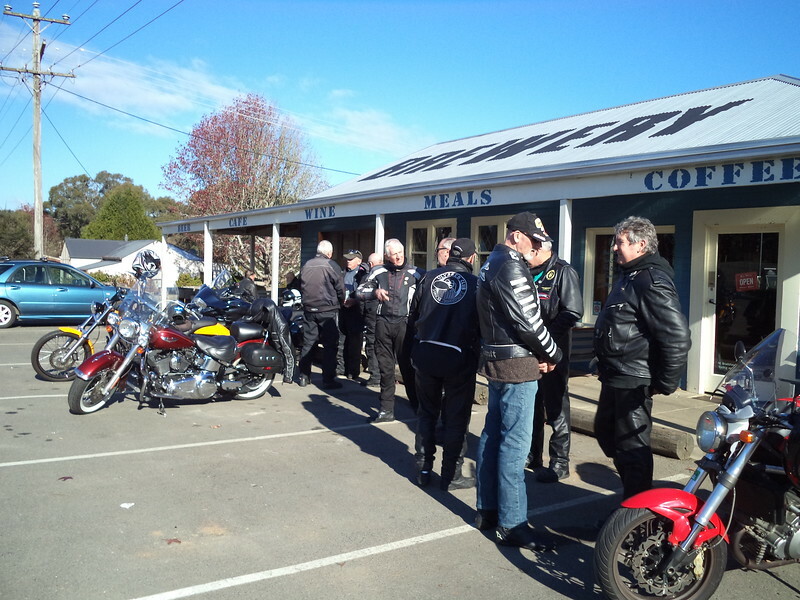 We socialised a bit and then said our farewells to the Ballarat and Stawell folk and saddled up for the ride home. By this time the temp was around 13C and we rode quite a scenic route out of town. I noticed a mob of ‘roos and some emus in a paddock just as we left, but fortunately they were the only ones I spotted. 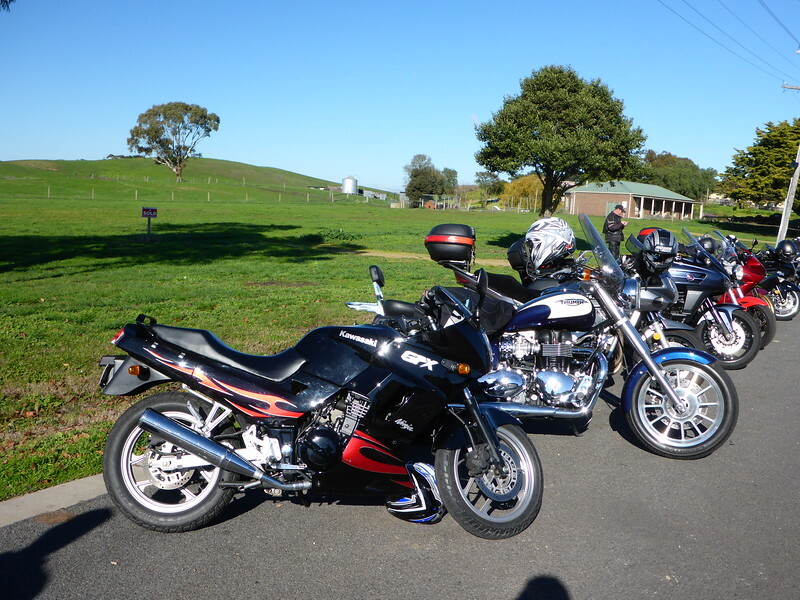 Rob led us down the Yarram Gap Rd to Derrinallum via Vite Vite. 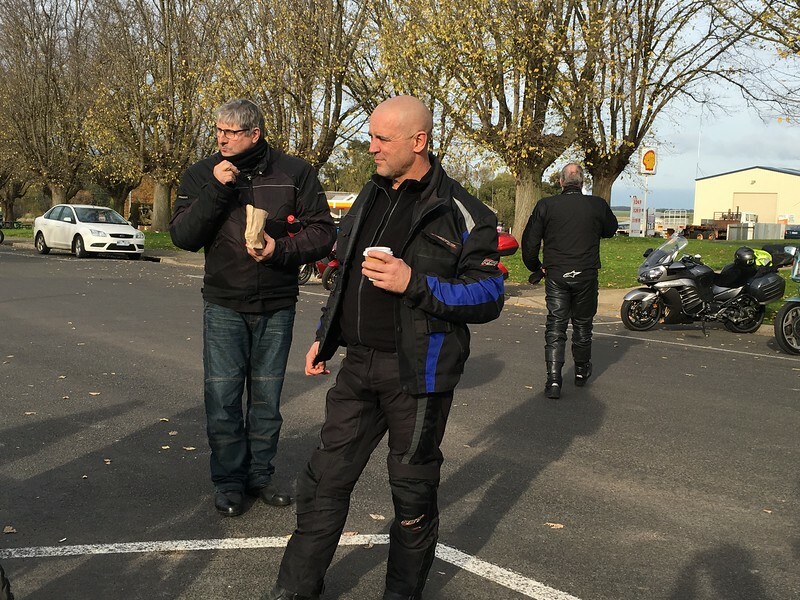 At Derrinallum Foles was waiting for us, having ridden down from Wannon on his new BMW F800GS. 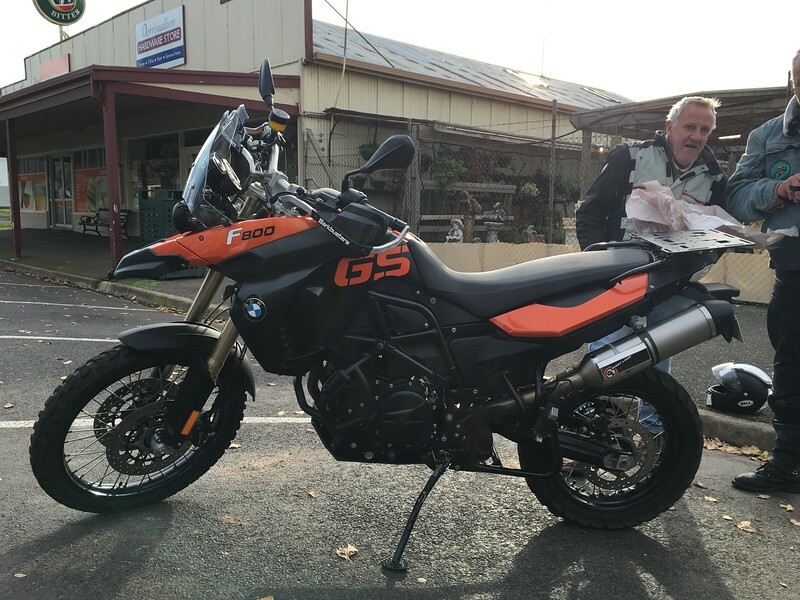 The new BM, Foles’ prior exploits on his old GS1150 (including cracked ribs) proved to be the centre of conversation and banter. From here we made a good pace down the Hamilton Hwy to Inverleigh, where the ride finished. I had a really enjoyable day of riding. It was 515 kms all up which is a long day in low temperatures, made a little more challenging in the morning by icy fog. 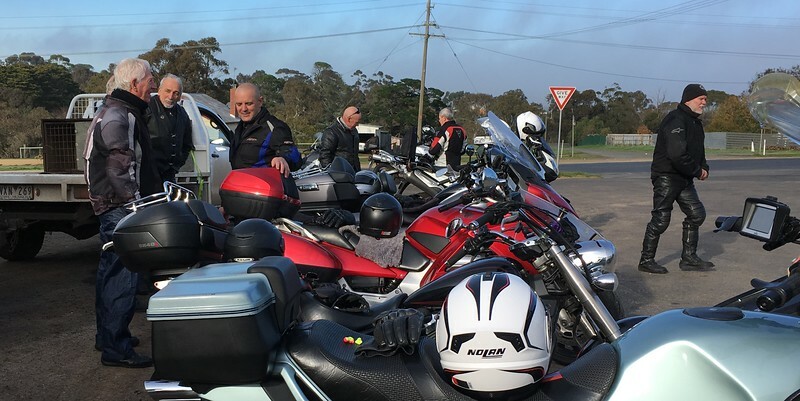 However, everyone had suitable gear for the conditions and we had an enjoyable, incident free ride with great camaraderie within our group and with the two other branches who joined us for some of the ride. 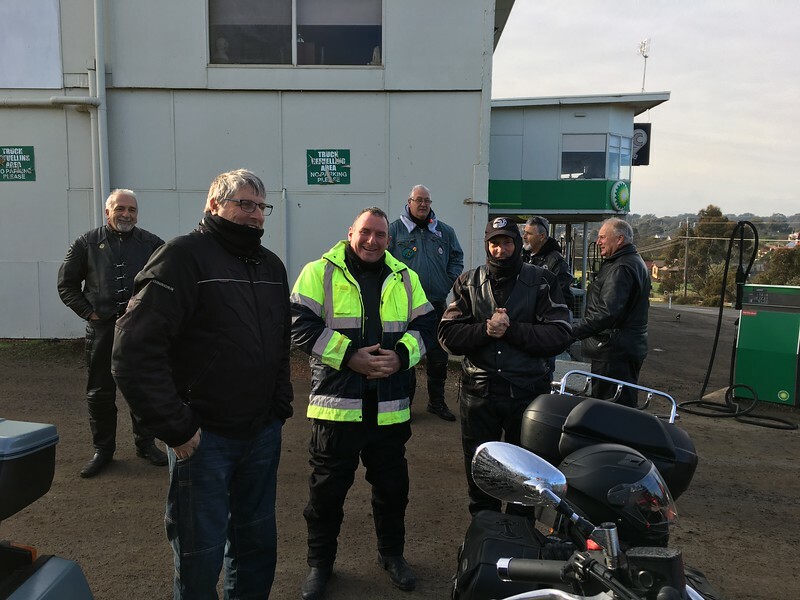 Again, well done to Rob for planning and leading his first ride and to Phil as TEC.